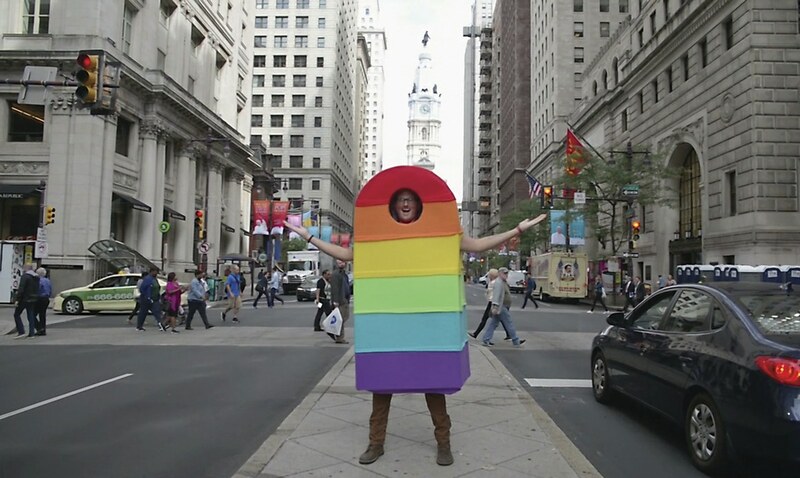 "To celebrate Pope Francis's visit to Philadelphia and fuel the conversation about LGBTQ rights, we created Popesicles—tasty, organic, rainbow-colored frozen treats. 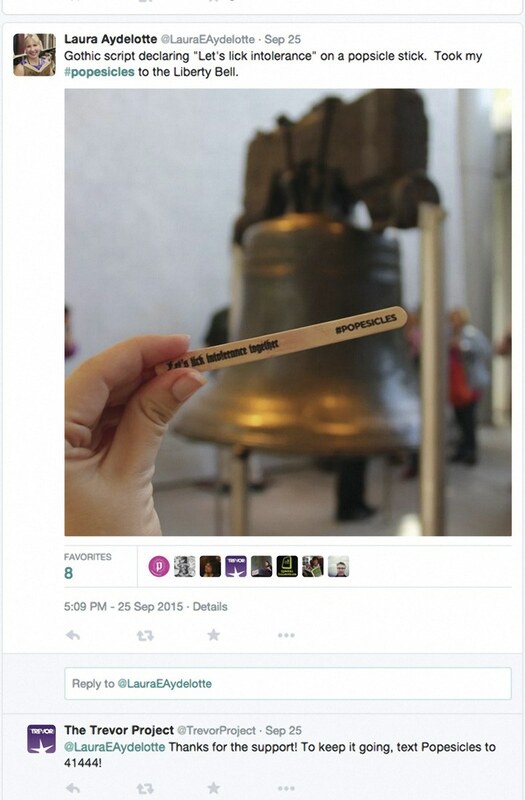 We also created a Popesicles truck and parked it steps away from the Pope's highly publicized speech, which ended up praising Philly for being a 'haven for religious freedom and tolerance.' 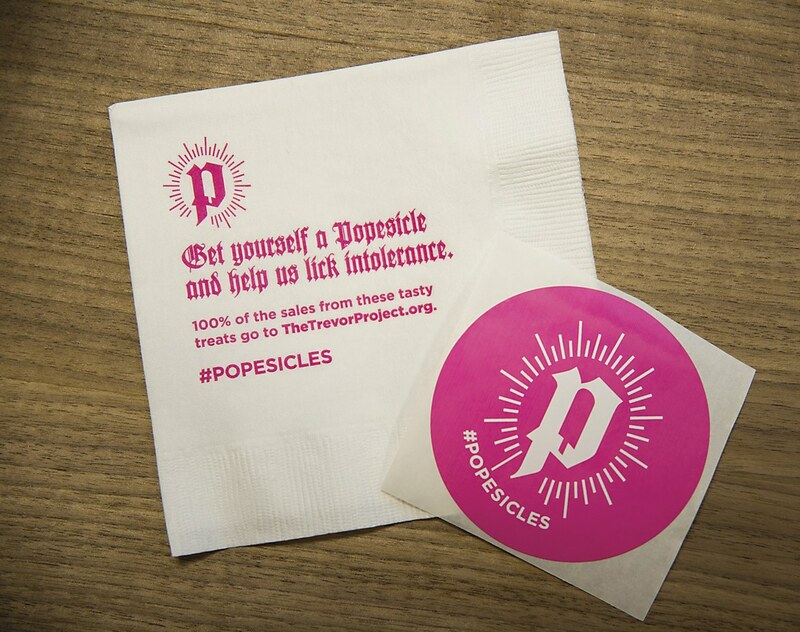 And with all the love our Popesicles got from local press and millions of social media impressions, our tasty stunt proved the Pope's point. 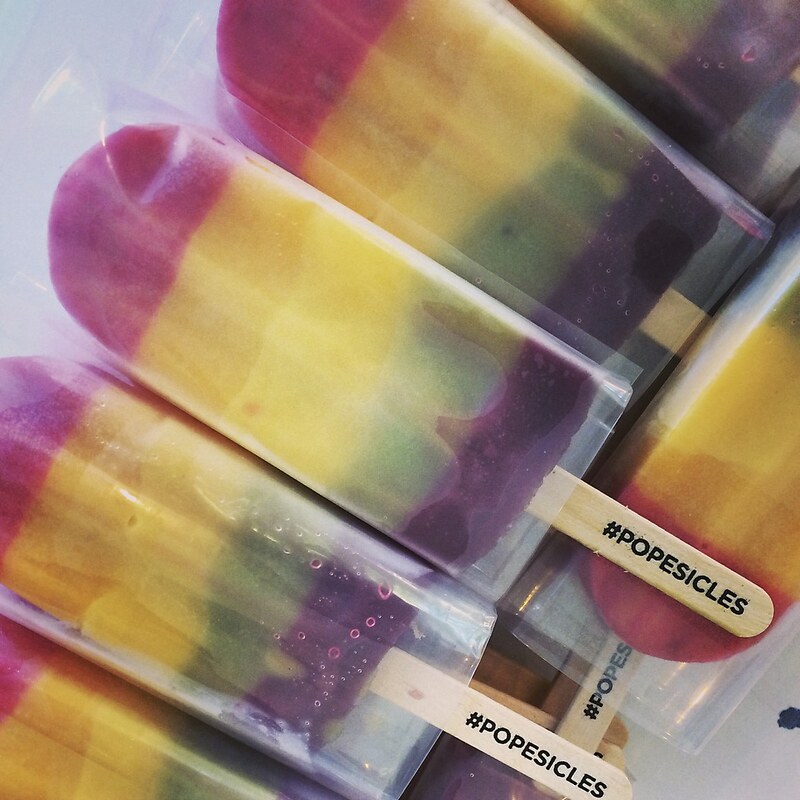 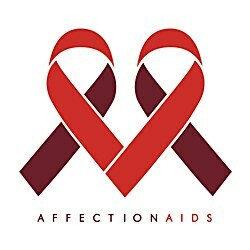 On another sweet note, 100 percent of Popesicle sales were donated to the Trevor Project, a national nonprofit organization supporting LGBTQ youth."